Following the announcement that half of the legislative proposals of the 2016 Clean Energy for All Europeans package have now been agreed, David Whelan outlines the ambitions of what has been agreed out to 2030. In June 2018, negotiators from the Commission, the European Parliament and the Council agreed the revised Renewable Energy Directive. The new regulatory framework included a binding renewable energy target for the EU for 2030 of 32 per cent with an upwards revision clause by 2023. The need for revision was based on projections that without policy change, EU energy systems would reach just 24.3 per cent of renewable energy consumption by 2030. It was also recognised that a lack of a future roadmap would “seriously risk undermining” the Union’s political ambition as being a world leader in renewable energy and the benefits of increased energy supply from indigenous sources, whilst reducing consumer participation in the energy system. A major shift change within the revision is the way in which member states will contribute to the overall EU goal. Where previously (for 2020 targets) member states had an individual national binding targets, the 2030 framework is solely based on a EU-level binding target of 32 per cent. Certainty for investors comes in the form of political governance of the Energy Union, also agreed in June 2018. Described as the “cornerstone” of the Energy Union, the agreement sets out how EU countries and the Commission work together and how individual member states should co-operate. “This will be done by making sure that national objectives and policies are coherent with EU goals, while at the same time allowing individual countries flexibility to adapt to national conditions and needs,” the Commission says. 3. the Commission in 2025 will undertake a thorough review of renewable energy progress with the view to implementing gap filling or corrective measures. The Commission says that the governance agreement stresses the importance of regional cooperation in the development and implementation of energy and climate policies. It calls on EU countries to encourage their citizens to participate in the preparation of the plans, stating that this will foster a new relationship between citizens and decision-makers to build further consensus on the best way to achieve the energy transition. 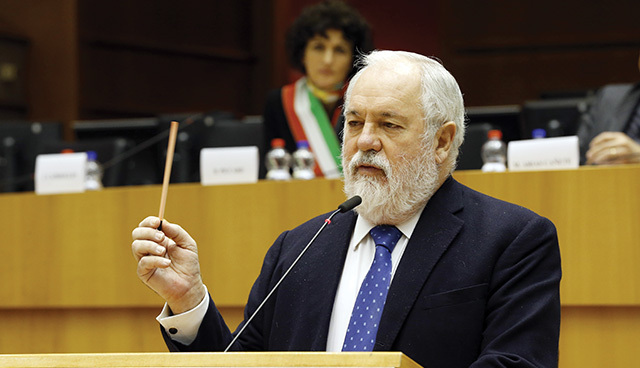 EU Commissioner for Climate Action and Energy, Miguel Arias Cañete. As well as the revised Renewable Energy Directive and agreement on governance, two other legislative proposals which have been agreed are the Energy Performance in Buildings Directive and the Energy Efficiency Directive. The revised Energy Performance of Buildings Directive (EU) 2018/844 entered into force on 9 July 2018, giving EU countries 20 months to transpose the new elements of the Directive into national law. 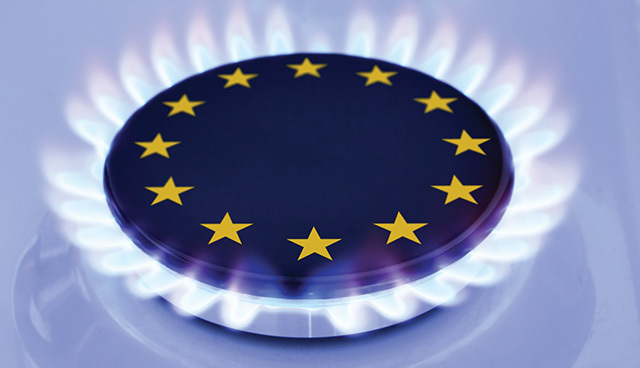 The Directive sets out ambitions for efficiency gains amidst the EU building sector, the EU’s largest energy consumer. The directive includes measures to accelerate the rate of building renovation towards more energy efficient systems and to strengthen the energy performance of new buildings, through smart innovation. The new regulatory framework for the Energy Efficiency Directive sets out an energy efficiency target for the EU for 2030 of 32.5 per cent with an upwards revision clause by 2023. The Directive recognises the pace of change around new technologies, coupled with reduced costs. Outlining the ambition of the Directive, the Commission says: “The law will extend the annual energy saving obligation beyond 2020, attracting private investments and supporting the emergence of new market actors. Currently, four out of the eight legislative proposals in the 2016 Clean Energy For All Europeans package which have been agreed compliment the revision of the Emissions Trading System (EU ETS), the Effort Sharing Regulation and the Land Use Change and Forestry Regulation that were also adopted in 2018.